IHOP-KC sets an emotionally charged grand vision before their students that they are unique from every other generation and that God will use them for great end-time exploits…. The [IHOP] vision seemed attractive. We were to be used by God when His end-times plan began to unfold. Until then, we were preparing for that time. The house of prayer is a house of His Presence where worship prepares the way for His eternal reign on the earth. Bickle distinguishes his apostolic premillennialism from dispensational premillennialism by rejecting a pretribulation rapture for a conquering church that prays and ministers through Revelation’s Great Tribulation…. He believes he is preparing an army of Christians who will triumph during the soon-coming crisis of the Antichrist’s global rule and the Great Tribulation. He preaches a self-identified apostolic Christianity characterized by intimacy with Jesus as bridegroom…. God wants to establish a dwelling place or habitation of His presence on the earth in His Church…. More than a spirit of revival. God’s looking for a place to manifest His presence. 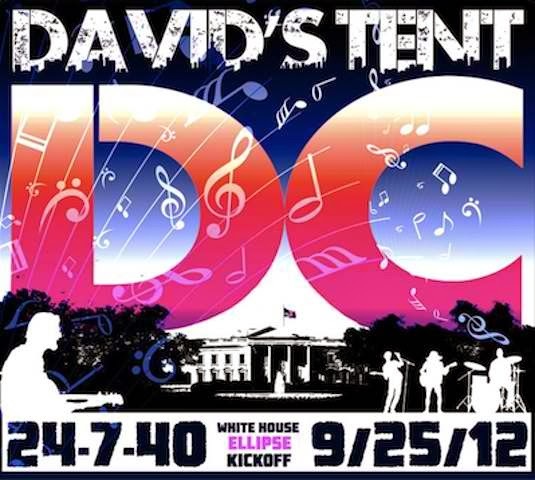 Exhibit: IHOP's attempt to set up the Tabernacle of David in Washington, D.C.
IHOP teaches that “God will again raise up and restore the fallen Tabernacle of David” based on 24/7 “music, praise, worship, dancing, and prayer.” Why David’s Tabernacle? They believe there was “NO VEIL separating the manifest presence of God” from the people in the tabernacle that David built for the ark in Jerusalem. Therefore, they believe that just as “the church established these ‘prayer/worship furnaces” of IHOP that “the glory of God will begin to emerge in our region and within each local fellowship” and “the power of God” will be “released in fulness.” In other words, resurrecting the Tabernacle of David music worship system will permit them access to God’s Presence without a veil. But we already have access to God through the shed blood of Jesus Christ on the cross: “Having therefore, brethren, boldness to enter into the holiest by the blood of Jesus, By a new and living way, which he hath consecrated for us, through the veil, that is to say, his flesh” (Heb. 10:19-20). Nevertheless, they believe that a fully operational David’s Tabernacle will “draw His manifest presence into our midst” for “tremendous authority and anointing.” Similarly they believe their continual aggressive prayer interacts with the heavenlies to change things on earth; that their prayer “opens up a fountain of life, an open heaven, a Jacob’s ladder.” Thus again they discount the shed blood of Jesus Christ whereby we can draw near to God without the necessity of performing works and rituals: “Let us draw near with a true heart in full assurance of faith, having our hearts sprinkled from an evil conscience, and our bodies washed with pure water” (Heb. 10:22). Bickle envisions that the end-time forerunner church will be an advanced “apostolic” movement. They will experience “greater things” than the apostles themselves. They will function as the last day Moses who through prayer releases God’s plagues on the Antichrist, the end-time Pharaoh. Bickle emphasizes that during the end times, Moses’ miracles and the miracles of the Book of Acts will be combined and multiplied on a global level as the praying church looses God’s judgments on the earth. This is why Bickle calls the Book of Revelation the “End-Times Book of Acts,” meaning that the Book of Revelation reveals the acts of the Holy Spirit that will be demonstrated through the end-time praying church. What is this “methodology” being spoken of? Below we will examine several key methods employed by IHOP to purify and perfect the “Bride” for this coming elite role. It is not enough to study the Word, we must give our heart to God and receive from Him as we read it. We allow it to create an active dialogue with God as it gives us the “conversational material.” We must actually speak the Word back to God and against Satan’s attack on our lives. Note: reading God’s Word isn’t just in order to claim promises for one’s self. This seems self-centered. Studying the Bible is an intellectual exercise of the sober-minded believer that will stimulate further knowledge of God and His holiness. Various methods of Bible study can be profitable. Believers can study words in a passage and delve into related Scriptures for context. Through studying the Bible they receive edification, become convicted of sin, learn how to walk with the Lord in closer obedience, and apply the Word to their various life circumstances. God’s Word is alive, a two-edged sword, that reaches deep into the heart of a believer (Heb. 4:12). The Word is part of our spiritual armor, equipping us to stand in adversity (Eph. 6:17). It has the power to convert an unbeliever (Luke 8:11; John 4:41)). It also permits the believer to have a close and intimate relationship with the Lord (see “word” in Psalm 119, e.g.). An IHOP document asserts that “Sustained, fervent prayer is necessary to bring about an awakening and to sustain [sic] revival.” This is heady stuff. “The prophetic song” is said to be “one of God’s most powerful weapons.” And “Prayer Rooms” are said to function as a “Special Ops unit.” The IHOP passionate prayer is a vehicle to attain the high level of spiritual power necessary “to establish justice in the earth” and a “breatkthrough in authority to change a nation,” as well as to “change the spiritual atmosphere of cities and nations.” With such extraordinary promises as this, prayer becomes more than direct communication with God. It has nothing to do with humble petitions. Rather, prayer is viewed as a powerful weapon wielded for warfare over the spiritual (and physical) world. In this sense, prayer is a dagger to wield against anything construed to be an “enemy” (is this anything like a curse?). Thus the mercy inherent in the grace of the Gospel of Salvation message is completely lost. IHOP prayer is based on an “us vs. them” worldview in which anything deemed to oppose itself to Christ must be conquered, not saved. Love is redefined to mean emotional passion. It is far removed from its biblical context of mercy and kindness. As a result, there is often very little difference between IHOP’s “passionate” love and carnal “passionate” lust—both are emotion-centered. Mike Bickle teaches that God passionately will release “the Presence of the Holy Spirit working in us to tenderize and exhilarate our spirits in love.” Thus there is a stated goal to “experience godly emotions” which will provoke a “divine encounter” of “Jesus manifesting His presence (dwelling) in us.” This is speaking of a separate experience from the Holy Spirit indwelling the believer promised in Eph. 3:17 (“that Christ may dwell in your hearts by faith…”). The IHOP movement issues “decrees” and “declarations” in the same way it is practiced by C. Peter Wagner and his associates in the New Apostolic Reformation (NAR). These decrees are essentially demands, assertions or pronouncements. These are based on a belief that it the church must emphatically and forcefully state that God will accomplish something. It is believed that fiercer their assertions, the more God will be “released” to act. This practice encompasses “binding” and “loosing” spiritual warfare. The implication is that God is stalled and stymied in heaven, totally helpless to act until they utter their “prevailing prayer” with enough collective fervor, zeal and repetition. Hence their propensity for 24/7 prayer and huge stadium rallies. The Lord gave me my marching orders through this dream: to join Him in establishing His church as a house of prayer contending with every other house that exalts itself above the lordship and supremacy of Christ. A threat to every corrupt government, institution of oppression, rebellious leader and demonic stronghold, the ekklesia of Jesus is a council of war at the highest level. With Christ as our Head, we are bringing heaven down to earth and barring hell’s invasion. Notice that nowhere is there a mention of reaching out to Buddhists with the Gospel of Salvation. Rather the focus is on supremacy over them. In the Dominionist worldview it becomes more important to wield power over one’s foes than it is to share the message of the forgiveness to sinners that is freely offered by Jesus Christ. How sad! What a missed opportunity! In 1946 Franklin Hall wrote a book titled Atomic Power With God Through Fasting and Prayer. It had a significant impact on the Latter Rain movement, Pentecostals and the later Charismatics. Hall taught that fasting was a “means of bringing about revival and the ‘restoration’ of the Church.’” Hall’s teachings have now gained a second life in the IHOP movement. IHOP fasting is done for the purpose of “a greater release of power” and “for an open heaven” that will “release angels” on earth. The IHOP “Bridgroom Fast” is taught as a way to “encounter the Bridegroom God” and attain the “nearness of God’s presence.” Significantly, those who fast are promised “greater measures of revelation at an accelerated pace.” All of this fasting is believed to be “preparing the Church for the greatest revival” coming in the endtimes. Fasting exacerbates the spiritual elitism that is being taught by promising the “experience” of “deeper encounters with God’s power and presence” and a “new ability” and “new level” of “fullness.” This “extravagant fasted lifestyle… fuels passion for Jesus and justice for the poor.” Thus fasting is seen as a method of gaining great spiritual power. Of the 75 departments that make up IHOP, more than three-fourths are dedicated to action outside the prayer room—everything from orphan care to crisis response to inner-city ministry to training marketplace leaders. This is in addition to a thriving worship label, music school, conference ministry, media institute, Israel initiative, children’s and high school ministries, and an ever-increasing list of other ministries making their mark. Power in our Christian life is found only in pursuing 100-fold obedience. There are powerful dynamics that occur in our heart when we soberly aim at walking in total obedience. The 98% pursuit of obedience has a limited blessing on it. The last 2% is what positions us to live with a vibrant heart…. The call to be perfect… is a key to living vibrant. When sleep deprivation is thrown into this mixture of fasting, along with hefty ministry obligations, the psychological and spiritual vulnerability of IHOP members is substantially increased. The 24/7 prayer furnaces require personnel to man their midnight-6 am shift. This means sacrificing sleep. Sleep deprivation can create disorientation, even leading to an altered state of consciousness (just ask any mother who has stayed up through the night with a sick child). In fact, sleep deprivation is a proven effective torture method. It has often been used by cults as part of their brainwashing, indoctrination and training. I am not claiming that IHOP intends to promote a sexual Jesus, their motives may be pure. It is inescapable, however, that Mike Bickle paints such a sensual picture of Jesus through his allegorizing of the Song of Solomon that he feels obligated to warn us saying, “We are not to think of kissing Jesus on the mouth.” This warning is like the legal statements following television drug commercials – this may cause death or injury and the cure may be worse than the disease. The warning itself paints the picture. The Bible doesn’t need to warn Christians “not to think about kissing Jesus on the mouth” because the true teaching of Jesus doesn’t provoke these lusts. True biblical intimacy with God doesn’t provoke these lusts either. The fact that IHOP feels it necessary to give this warning is proof that their teaching is doing exactly that – creating lustful appetites for a sensual Jesus. Their Jesus is an imposter and the spiritual experiences they enjoy are not “intimacy with God” but spiritual fornication. Let us be clear; passions, desires, emotions, and feelings are sensual and creating an appetite for sensual spiritual experiences is the goal of IHOP’s Passion for Jesus Conference. 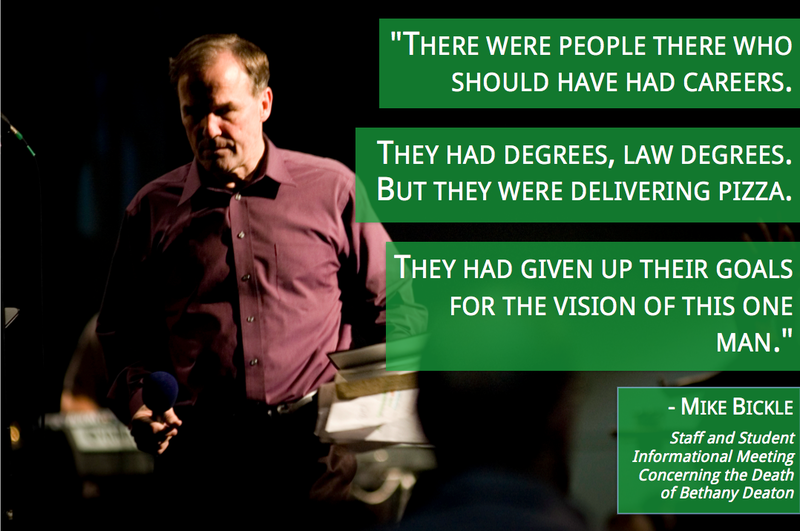 …IHOP leaders urged the students on to the grand vision by any means possible; and that includes shame. In the instances I have outlined above, shame was used as the motivator for us to stop what we were doing (theology, biblical languages) and comply with their vision. “Become like us or we will shame and ignore you,” was the message. Notice that this shame is based on a fear of man. It has nothing to do with biblical shame leading to godly sorrow. “For godly sorrow worketh repentance to salvation not to be repented of: but the sorrow of the world worketh death.” (2 Cor. 7:10). Exhibit: from article "What Rolling Stone Didn't Tell You About Tyler Deaton." There is a violence that goes with keeping our word…. Keeping our word is violent, and difficult! We must be violent about presenting ourselves truthfully to one another when we stumble on a commitment…. The Bible admonishes us to “flee” temptations such as fornication, idolatry and youthful lusts (1 Cor. 6:18; 10:14; 2 Tim. 2:22), and to “resist the devil” (James 4:7). But in IHOP documents resisting sin is referred to as a “violent war” and a “violent clash.” The flesh is said to be in “violent opposition to the Holy Spirit.” Therefore the believer must “declare war on everything that quenches the Holy Spirit” by putting their “cold heart before the bonfire of God’s presence.” This strong language belies the simplicity of the Gospel message of grace (See: Rom. 12:8; 2 Cor. 1:12; 2 Cor. 11:3.). It is a daily fight to do this, and we have signed up for something that is unbelievably hard – a lifestyle of prayer in conjunction with building this house in an hour in which the nations are going astray. Even the term “prayer furnace” is an example of violence in IHOP language. The prevalence of “violence” language, in combination with the “warfare” language about “enemies” could be dismissed as symbolic rhetoric. But maybe it isn’t. What if this aggressive rhetoric turns into real military zeal? What if some leader turns on the switch and announces that there are real enemies that need eradicating? Such events have historically occurred with destructive and doomsday cults. The prophetic song is one of God’s most powerful weapons He utilizes to release His power on the earth, particularly in the end of the age…. The key feature of the new song at the end of the age to understand is that believers are standing in unity with the heart of God, singing in agreement about Him as a judge preparing to loose judgments. This is profound – the end-time church is led by prophetic singers (in concert with the Holy Spirit) to sing about the coming judgments of the Lord in full agreement with His methodology and leadership…. Passionate worship is a weapon wielded as a weapon by this militant Bride who is charged with singing in the coming judgments of the Lord. What an odious job! It is insanity to sing in the horribly violent deaths and judgments described in the book of Revelation! In order to master the cognitive dissonance required for this dastardly duty, IHOP redirects focus to the passionate sensual intimacy of the Bride with evocative music and lyrics. Monitors show a band playing under undulating lights. The acoustic guitarist raises an arm in praise, barely strumming when the camera focuses on him…. Misty Edwards stands behind a keyboard and belts out praise with impressive range…. The repetitive choruses — really, the songs are nothing but choruses — show up on the monitors like a karaoke machine as images of young people in the crowd, with eyes closed, air-drum and raise their hands. And they sing: I'm in love with God/And God's in love with me. Edwards uses a break in the music to preach. "Our God is an all-consuming fire," she whispers. "He burns with desire." Mike Bickle heard an audible voice from the Lord in 1988. This voice told him that the Bible’s Song of Solomon was the key to encountering Jesus and develop a “mature love for God.” Bickle developed his own unique allegorical interpretation this book, creating an endtime template he calls the “Bridal Paradigm.” This paradigm is about a spiritually superior race of “mature” believers who “will be like Jesus.” Bickle’s “Bridal Paradigm” is about the “Manifest Presence of God.” It is only within the context of the “Bridal Paradigm” that we can understand their insistence upon generating “passion.” The following description and quoted excerpts come from Bickle’s 149-page treatise “Studies in the Song of Solomon: Progression of Holy Passion (2007)” at the GOD School with the Forerunner School of Ministry (IHOP). I define the Bride as the Church becoming mature in love for God and people. This has never happened. The Church in the Book of Acts was not fully mature. It had moments of glory in several cities. Before the Lord returns the worldwide Church will be mature or spotless and blameless…. The End-Time Church that survives the Great Tribulation has a unique honor in history being the only generation to walk blameless before Jesus returns…. The Church throughout all history did not walk in maturity. The redeemed through history will praise God for the End-Time Church as it prevails in love while still on earth… God has brought to pass a people that are mature on the earth. So Bickle’s definition of Bride does NOT include all those who are born again! His Bride is the only those perfected mature believers who are sold out to the requirements of 100-Fold (100%) Obedience: “A life of total commitment is foundational for all who are to be mature in ministry.” In Bickle’s allegory, the mature Bride is contrasted to the “Daughters of Jerusalem” who, according to Bickle, “personify immature believers.” So immature believer are not included in his definition of the Bride. These “less spiritual” ones don’t quite measure up to the high standard of 100% obedience. Even though it is denied that this is teaching the doctrine of “sinless perfection” it is hard to see any difference. This is a very esoteric teaching. Bickle’s allegory of the Song of Solomon requires indoctrination (as opposed to simple Bible teaching). Each lesson builds on the previous lesson, and is repeated over and over again until it becomes ingrained. As decoded by Bickle, the hidden messages in Song of Solomon will only be revealed in this last generation. Unfortunately this mystery is not about the Gospel of Jesus Christ. While Jesus is a major player in Bickle’s interpretation, He is not portrayed as the Savior who died on the cross for our sins. Rather, he is reduced to being the focal point of the Bride’s evoked passion. This is all about the Bride. The goal of her life is her own spiritual happiness. This happens best when she experiences God’s Presence. [T]he Bride’s destiny is ensured by God’s ravished heart for her. Jesus’ manifest presence returns in response to her obedience. Jesus is “conquered only by His Bride’s extravagant love. We are called to live lovesick for God. Our primary focus is to be on God’s emotions…. A working definition of a ravished heart of God is: To be filled with emotions of joy or delight because of one who is unusually attractive. The revelation of Jesus’ ravished heart equips us for 100-fold obedience. Her greatest desire is to experience God’s presence. The Holy Spirit is raising up lovesick messengers who know Jesus in a way that will change the expression of Christianity in the whole earth and prepare the Bride to be strong in love in the End-Time pressures…. Exhibit: IHOP influences an entire youth movement. Ad from TheElijahList. The greatest revival in history is around the corner. The maiden [Bride] receives a new revelation of Jesus as the sovereign King. She sees Him as the “Lord of all the nations” who effortlessly conquers all of the difficult mountains or high places…. Jesus is ready for action and deep partnership with the maiden [Bride]. Therefore, He calls her to arise from her comfort and security to come away with him to conquer the mountains of this fallen world. Jesus commissioned His Bride to work with Him as He brings the nations to obedience. [Jesus] proclaims that she is as awesome as a victorious army with banners. We are created to live in the high places with Jesus in the extravagant devotion of bridal partnership. The only safe place for our hearts is in the revelation of Jesus as the Bridegroom King who enables us to walk in 100-fold obedience and faith in facing the mountains. This will be an essential revelation during the Great Tribulation. Being His perfect one means she has matured spiritually. Jesus’ End-Time Church will become mature in love as she is filled with God’s glory without any spot or wrinkle…. The Bride’s ministry in the age-to-come is as one “who shines forth as bright as the sun”. Her full glory is the brilliant light of Jesus’ glory. There are several other IHOP teachings from Bickle's Song of Solomon allegory that bear mention as aberrations of historical Christian doctrine. ECUMENISM: This will be the first time in history, that the church worldwide will be in dynamic unity with the Spirit and therefore, the Spirit will be resting on and moving through the Church in great power. RESTORING PARADISE: An aspect of His inheritance involves the mandatory obedience of all creation. CATHOLICISM: The Church from history is our mother. The favorite work of the historical Church is the great End-Time harvest of souls and its full maturity…. The redeemed from history are represented as a “mother” that gave birth to Jesus (manchild) and as well as the believers that come after her…. The agency He uses for our spiritual birth is the witness of the Church, our spiritual mother. In sum, it is readily apparent that the IHOP movement is literally walking out the Latter Rain eschatology through its mandate for 24/7 corporate prayer and worship to re-enact the Tabernacle of David. These teachings cited above are decades old. They form the foundation of the modern NAR and IHOP movements. Some of the more controversial teachings about becoming Christ have now been submerged or denied. Yet the question remains: Without these key doctrines, what could possibly the PURPOSE for generating so much PASSION? The only logical answer is that these leaders are still following the old Latter Rain script of invoking a “Presence” in order “manifest” as Christ’s Corporate Body in order to wreak judgment on earth. Perfection in Christ the Scriptures are full of; perfection in man the Scriptures know not. The whole testimony of God in his word is to perfection in Christ. Every Scripture that speaks of his Godhead declares his perfection: for what is there but perfection in Godhead? And every passage that speaks of his humanity declares his perfection: for if he had not had a perfect human nature, he could not have offered that nature a sacrifice for sin. As the Lamb of God, without spot, or blemish, or any such thing, he is “holy; harmless, undefiled, separate from sinners, and made higher than the heavens,” (Heb. 7:26). If there is any perfection in the church, it is only found in Christ; by her having an eternal and vital union with him. But as to man, that fallen creature, the whole testimony of God’s word is to the depth of his apostasy. The Scripture positively declares, “There is none righteous, no, not one: there is none that understandeth, there is none that seeketh after God: they are all gone out of the way, they are together become unprofitable; there is none that doeth good, no, not one,” (Rom. 3:10-12). “The heart is deceitful above all things, and desperately wicked,” (Jer. 17:9). And lest we should fancy, that when the blessed Spirit had regenerated and taken possession of a man, making his body his temple, then there was some perfection to be found in his heart, the Scripture brings before our eyes the awful falls and sad departures of God’s most highly favored saints—Noah, Lot, Abraham, Moses, David, and Solomon. These blots are recorded against God’s eminent saints, to put down that false notion, that there is anything like perfection in the creature. And yet there are those who indulge in the wild dream of human perfectibility. There are those who even boast that they have attained to perfection. And there were such doubtless in John’s day. There were, in his time, proud, ignorant, blind, deluded wretches, who said that they had cleansed their heart from all evil, that perfection dwelt in them, and that sin was no more to be found in them. Some of these were Pharisees, completely ignorant of the requirements of God’s holy law, thoroughly unacquainted with the depth of man’s fall. And others were dry doctrinalists, who could speak much about Christ; but, knowing nothing of the workings of depravity in their own nature, overlooked all the heavings and boilings of the corrupt fountain within; and because they read of the church’s perfection in Christ, claimed unsinning perfection to themselves. Over 40 years ago I was saved by grace through faith in Jesus Christ. I was saved out of the hippie movement and became an active part of the Jesus movement. At that time, and for the next decade, I experienced real revival. What did real revival look like? Our focus was on Jesus, his death on the cross, dying for our sins. When we heard the Gospel of Salvation message from the Word of God for the first time it struck at the core of our being. We repented and confessed our sins. God marvelously delivered us from our sins, sometimes in awe-inspiring ways. We experienced great joy in being cleansed from our prior filthy lives. The power of the Holy Spirit enabled us to become free from our former occult bondages. The Word of God ministered healing to us. We devoured it daily to learn more about Jesus. We learned how to use the sword of the Word to defend ourselves from the attacks of Satan. We were excitedly awaiting Jesus’ soon return. And we were fervent in our desire to be ready for Him. We turned away from rock ’n roll and began to sing beautiful praise melodies and hymns with lyrics based on the Word. We didn’t have to “invoke” the presence of the Holy Spirit. As we were cleansed by the blood of Jesus Christ, we were filled with the Spirit. What I just wrote about in this article bears no resemblance to the true revival I experienced. 4. For example, see “Rick Perry’s Army of God,” by Forrest Wilder, https://www.texasobserver.org/cover-story/rick-perrys-army-of-god Herescope posted many articles about the NAR and IHOP's involvement in Rick Perry's bid for president. 5. Al Dager, Vengeance Is Ours: The Church in Dominion (Sword, 1990), p. 75. 7. See the two previous posts in this article series to read about this “Tabernacle of David” teaching and its history. 8. Al Dager, Ibid., p. 75. Bold added. 9. Al Dager, Ibid., p. 49. 12. Al Dager, Ibid., p. 62, quoting George Warnock’s book The Feast of Tabernacles. 13. Al Dager, Ibid., p. 63 and p. 72. 14. Al Dager, Ibid., p. 69. 15. Al Dager, Ibid., p. 70. Italics in original. 16. Al Dager, Ibid., p. 49. The other thoughts in this sentence are derived from Dager’s comments. 19. Bickle’s “wilderness lifestyle” is discussed in an article by Andrew Jackson, "Forerunner Eschatology," Christian Research Journal, Issue 32-04, http://journal.equip.org/articles/forerunner-eschatology or http://www.equip.org/articles/forerunner-eschatology. 23. Lou Engle, “Blueprint for War,” Ibid. 28. Many evangelical leaders also use sophisticated marketing methods based on the “diffusion of innovation” in order to inculcate new doctrines and practices into the church. 30. This “maturity” is a common theme in Bickle’s teachings, especially his “bridal paradigm” based on the Song of Solomon. Mike Bickle, “Studies in the Song of Solomon,” Ibid. 36. Tricia Tillen, Ibid. Bold added. 38. “The KCIHOP Story,” Penny Simmons, Ibid. 39. Tricia Tillen, Ibid., The quote is from the Revival Times website, which is no longer online. 40. 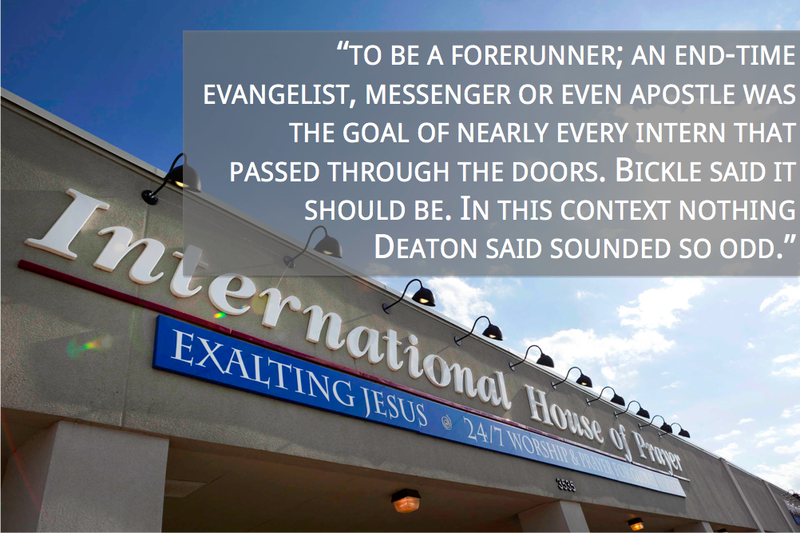 “Overview of the Ministry of the International House of Prayer – Knoxville,” http://www.google.com/url?sa=t&rct=j&q=&esrc=s&source=web&cd=20&ved=0CGUQFjAJOAo&url=http%3A%2F%2Flionheartministries.org%2Fassets%2Fdownloads%2FMinistry_Overview_rev_1.doc&ei=FOcLU_DhLOKQyAGoqICgDg&usg=AFQjCNG4156GCYnw7ED8GEMpO5enq6tUxw Emphasis in original. 42. “The KCIHOP Story,” Penny Simmons, Ibid. Jacob’s Ladder serves as an allegory of connecting earth to heaven in Bickle’s Bridal Paradigm. 46. 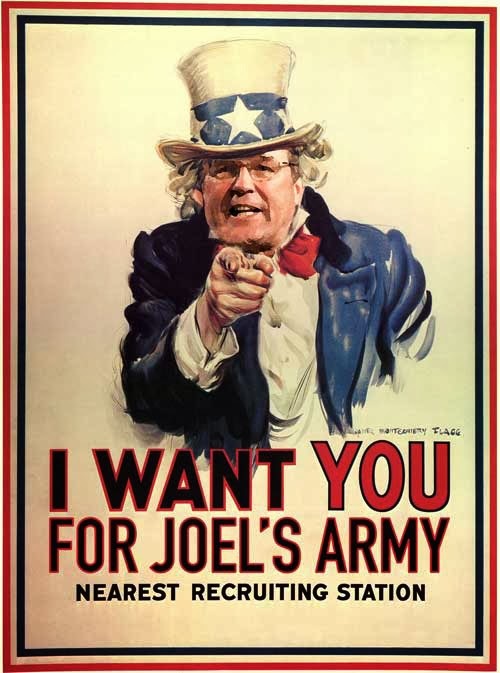 See http://herescope.blogspot.com/2008/01/sickles-ready-to-reap-nations.html and also the booklet Joel’s Army cited above. 51. One is reminded of the story of Simon the sorcerer in Acts 8, who wanted the ability to do miracles and signs. 52. We are indebted to this profound thought expressed by the authors Pomeroy, Burstein, Donlan and Roberts in Ancient Greece: A Political, Social, and Cultural History (Oxford, 1999), p. 458. 59. Mike Bickle, “Studies in the Son of Solomon,” Ibid. 60. Mike Bickle, “How to ‘Pray-Read’ the Word,” Forerunner School of Ministry, http://o.b5z.net/i/u/10130058/f/How_to_Pray_Read_the_Word.pdf Emphasis in original. 62. Mike Bickle, “Studies in the Son of Solomon, Ibid. 63. Mike Bickle, “How to Meditate on the Word,” Ibid. 64. Mike Bickle, “How to Meditate on the Word,” Ibid. 65. Mike Bickle, “Walking in the Spirit: Feeding Our Spirit on God’s Word,” Forerunner Christian Fellowship, http://harvesthop.org/resources/03-19-06_-_Walking_in_the_Spirit-_Feeding_Our_Spirit_on_Gods_Word_-_Mike_Bickle.pdf Underline in original. 71. Mike Bickle, “Praying for Strength unto Experiencing God’s Presence,” Forerunner School of Ministry,” http://www.mikebickle.org.edgesuite.net/MikeBickleVOD/2008/20080826_Seeking_to_Live_in_Gods_Manifest_Presence_Ephesians_3_1419_Mike_Bickle.pdf Emphasis in original. 72. Mike Bickle, "Strength," Ibid. 73. Mike Bickle, "Strength," Ibid. 74. Mike Bickle, "Strength," Ibid. 77. Lou Engle asserted that “…the King will not return until His ekklesia has learned to rule through prevailing prayer. It’s time for us, as the church, to become His contending house of prayer. Lou Engle, “Blueprint for War,” Ibid. 79. Lou Engle, “Blueprint for War,” Ibid. 80. Lou Engle, “Blueprint for War,” Ibid. 81. Lou Engle, “Blueprint for War,” Ibid. 82. Lou Engle, “Blueprint for War,” Ibid. 83. Al Dager, Ibid., p. 49. 84. Mike Bickle, “Understanding the New Testament Call to Fasting,” Forerunner Christian Fellowship, http://www.ihopkc.org/resources/files/2011/09/Understanding_the_New_Testament_Call_to_Fasting_Oct._2011.pdf Emphasis in original. 90. Mike Bickle, “Studies in the Son of Solomon,” Ibid. 91. Mike Bickle, “Walking in the Spirit,” Ibid. 92. Mike Bickle, “Kingdom Ministry,” Ibid. 93. Bob Jones, (Kansas City Fellowship, transcribed from 1988 tape. This strange prophecy has nothing to do with the teaching about Melchizedek in the book of Hebrews, which is about the priesthood of Jesus Christ (see Hebrews 5). 96. Many IHOP documents issue a disclaimer that “We are NOT to think of kissing Jesus on the mouth.” Yet they write graphically about kissing Him. 98. Gary Wallin, “My Time at IHOP-KC,” Ibid. 100. Mike Bickle, “Walking in the Spirit,” Ibid. 103. See the descriptions of these two entities here: http://en.wikipedia.org/wiki/Cult. And keep in mind that the doctrines of Dominionism have to do with a real political takeover of government and culture. It isn’t just figurative speech. See “Dominionism and the Rise of Christian Imperialism,” http://www.discernment-ministries.org/ChristianImperialism.htm and the many articles published on Herescope about Dominionism, the NAR and IHOP, a list of which appears in the previous 2 articles in this series in the footnotes. 104. For several decades the IHOP and NAR “prophets” have been predicting a “new song” and “new music” that would heighten the experience. TheElijahList frequently publishes articles about it. It is outside the scope of this article to examine this issue, but suffice it to say that this “new music” is turbo-charged through mechanical and/or spiritual forces, and is reported to create an altered state of consciousness. 106. David Sliker, “KEEPING CHARGE OF MY SANCTUARY,” Ibid. 108. Nathan Clay Barbarick, “Crashing IHOP's annual Onething:,” Ibid. 109. Mike Bickle, “Studies in the Song of Solomon:,” Ibid. 110. Mike Bickle, “Studies in the Song of Solomon:,” Ibid. 111. Mike Bickle, “Studies in the Song of Solomon:,” Ibid. 112. Mike Bickle, “Growing in the Prophetic,” p. 203. http://books.google.com/books?id=Jb8AuNzJP2oC&pg=PA203&lpg=PA203&dq=%22Manifest+Presence+of+God%22+%22Mike+Bickle%22&source=bl&ots=6F47J-5ArT&sig=6QqYPnbqhw_EkcgVDE5OH1IDthI&hl=en&sa=X&ei=UeULU_uIOIKCyAHt84GoAg&ved=0CDEQ6AEwAg#v=onepage&q=%22Manifest%20Presence%20of%20God%22%20%22Mike%20Bickle%22&f=false 113. Mike Bickle, “Studies in the Song of Solomon:,” Ibid. 117. This report was authored by Sarah Leslie, with the able assistance of Susan Conway and the research oversight of Dr. Orrel Steinkamp. The graphic at the top of this page is a satirical rendition of two images that appear on Wikipedia: http://en.wikipedia.org/wiki/Mike_Bickle_(minister) and http://en.wikipedia.org/wiki/Uncle_Sam.